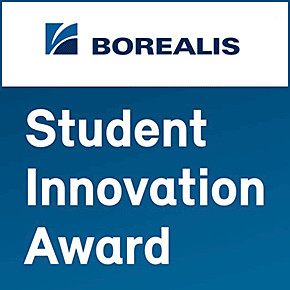 The Borealis Student Innovation Award is an international competition for students from all over the world recognising the three most innovative polymers and chemistry related research papers in the bachelor, master and PhD categories. Awardees will be invited to the Borealis Innovation Headquarters in Linz, Austria in May 2019 to network, discuss their ideas and present their theses to Borealis senior scientists and leading innovators. Winners will also be presented with a monetary award: Bachelor thesis - €1.000, Master thesis - €3.000 and PhD thesis - €5.000.